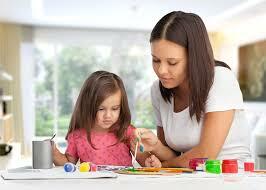 ROI provides families with in-home staffing to assist them in supporting their child. Our Residential Technicians support a range of independent living skills, including assistance with activities of daily living (ADL’s) from personal care and hygiene to household chores and tasks. Staff members implement each client’s individual treatment plan, support positive behavior, and promote therapeutic goals designed to improve targeted areas including socialization, communication, and sensory-motor function. In-home support staff encourages individuals to take part in community-based activities. One of the primary objectives is to facilitate access to the community at-large, helping clients to engage in age-appropriate social activities. ROI has developed partnerships with community agencies that ensure opportunities for inclusion and hosts a variety of events throughout the year. Residential Technicians receive training prior to and throughout the duration of their assignment in a family home. We place the highest emphasis on teaching staff to interact with our clients safely and professionally, respecting the unique dynamic of each family home. Residential Technicians are supported by a 24-hour on-call system. An administrator is always available and empowered to make decisions. This service ensures that the effects on your family of an employee that falls ill or faces a personal emergency are minimized. Multiple technicians are trained to work with each client to offer continuity of care.